Unfortunately the company has only the financials of the past five years available on it’s website, and that’s all you have to work with as an investor. They don’t release quarterly results and they don’t file anything with the SEC. The annual reports themselves are a quick read: there is a shareholder letter of one page, a couple of ‘nice’ graphs and financial statements (without the usual footnotes). What we see is a business that is pretty profitable. Average return on equity was 15% the past five years while the average return on invested capital was a very respectable 23%. The company is also debt free since 2012, it remained profitable during the recent recession and the share count has remained stable the past five years. It’s hard to find anything to really hate in these numbers. 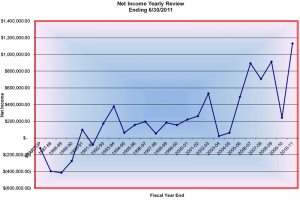 Gross margins and net income are down compared to 2011, but it’s not outside the historical range. 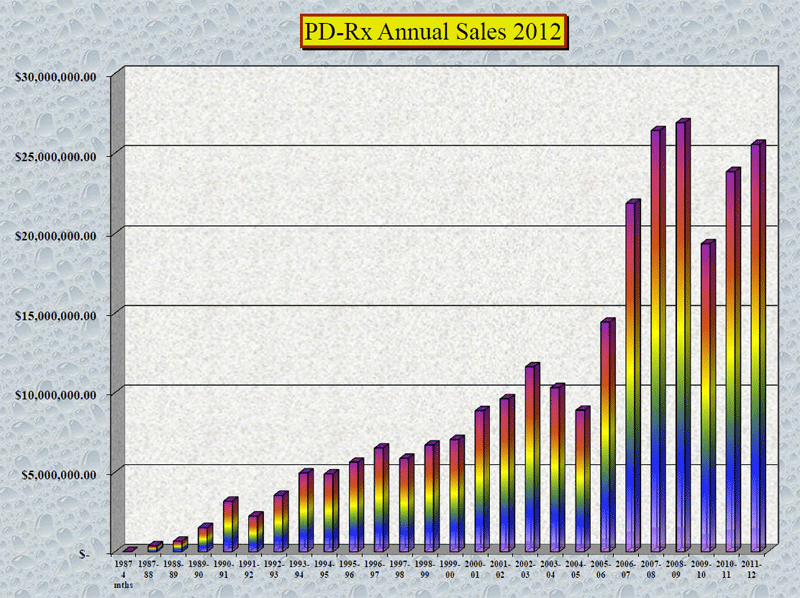 PD-Rx has been profitable since 1992. It’s hard to see how you can go wrong if you can buy a company like that for less than NCAV. Especially since it’s a safe bet that the balance sheet of PD-Rx has never been stronger than today and historical earnings would have been higher without interest expense. Our “cloud” software offering has now become a great success. Both the dispensing software and the electronic medical record are offered in that manner. We continue to work toward meaningful use criteria for the Acuity Health EMR and SureScripts certification for the e-prescribing software. Our technology approach to all aspects of our business continue to keep us in the hunt; both in controlling our operational expenses and in our offerings to customers. We have made significant advances to become paperless both in our operation and as we do business with our customers. Feedback from our customers has been positive as we continue to move into the 21st century. E-pedigrees, E-invoices, and E-Statements are just a few of the ways we are streamlining our business. Our “cloud” dispensing software has been an overwhelming success and even our oldest customers are switching to the “cloud” to improve their software performance. fields are automatically filled in and with a few clicks of the mouse a patient can get their medications directly from their doctors office. I don’t think you directly should assume that this company has a real moat, but the business quality is probably better than that of the average net-net that I discuss on this site. This is a part of the thesis that remains a question mark. PD-Rx does not report with the SEC, and it doesn’t disclose how many shares insiders own or how much they get paid. In theory you should be able to get access to the shareholder registry as a shareholder, but this is not something that I have tried. In practice it’s probably not easy as a small foreign shareholder who owns the shares in street name. I do think it’s likely that insiders own a decent piece of the pie since the trading liquidity in PD-Rx is very low, hinting that the free float might be low as well. But if I have a reader who can offer more insight I’d love to hear from you! 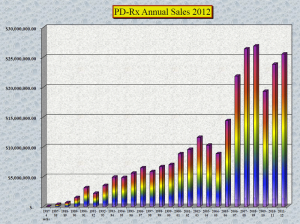 PD-Rx doesn’t provide investors with a lot of details, but I don’t think that’s a big problem. Just based on the historical earnings and the current balance sheet we should be able to get a ballpark number. 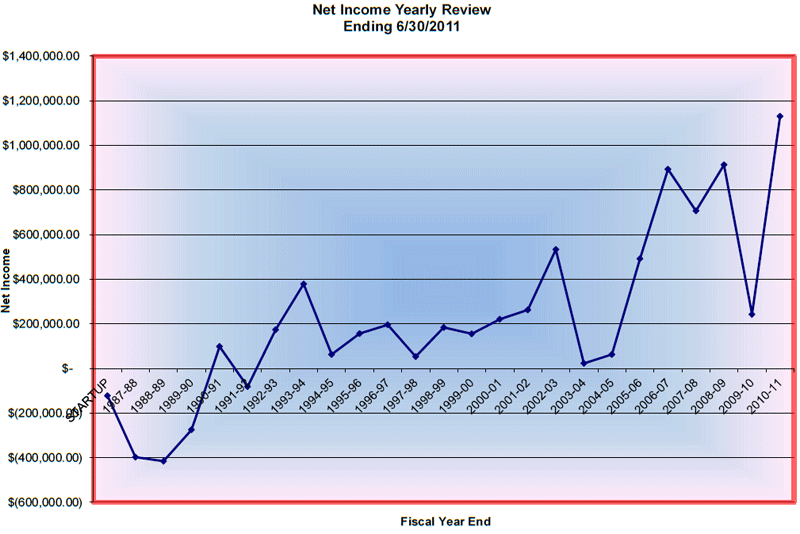 Net income has varied the past 5 years, but the $705K in income in FY2012 is close to the 5 year average of $753K (adjusted for interest expenses). While the company has shown strong growth in the past 25 years I think a more conservative no-growth assumption is reasonable given the lack of growth in recent history. If we value the average earnings at an 8.5 multiple and add the $3.9M in cash I get a valuation around $10.3M. That’s basically twice the current market capitalization, and I think there could be significantly more upside if the no-growth assumption is too conservative (it probably is). 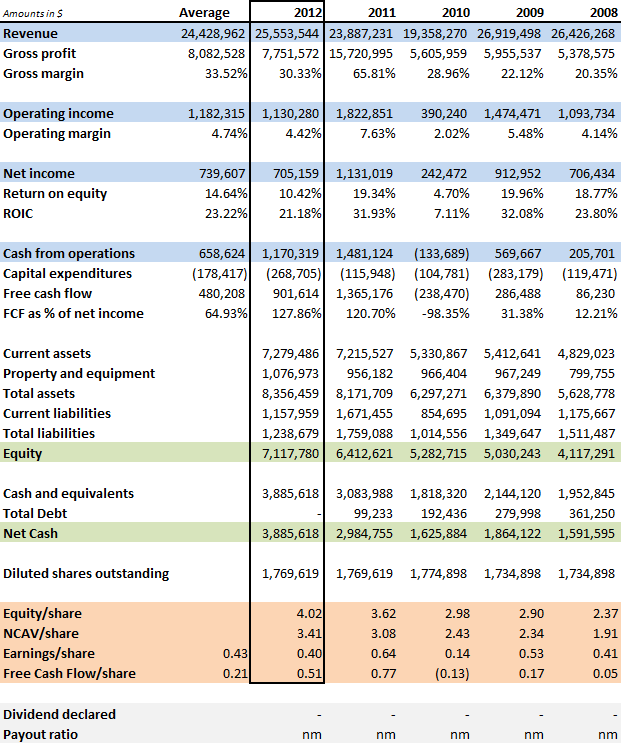 PD-Rx Pharmaceuticals is perhaps not the most exciting stock, but it is cheap, generates high returns on invested capital, and the large cash position should provide downside protection. Since the company provides a limited amount of information to investors there are some questions that remain open, and it’s also not a good sign from a corporate governance perspective. At the same time the stock is without a doubt cheap. I think that this is the kind of stock that, if you would buy a basket full of similar companies, you most likely would do well in the long run. But without knowing more about the insiders, or seeing a track-record of returning excess capital to shareholders. it’s not the kind of stock I want to bet too heavily on. This entry was posted in Portfolio and tagged PDRX on November 4, 2013 by Alpha Vulture. The most recent I could find, from 2000. If anyone has anything better, I would love to see it. That’s a long time ago! But it does provide some support for the idea that insiders probably own a significant stake. Great post, nothing much to add, I’ve owned them for a while, they’re a great little company that’s very cheap! A couple more things to consider about PDRX. The real estate on their books is worth much more. I think it’s valued at the original purchase price from years ago. As of this month, November, they are picking up a large amount of business because their largest competitor (a company called Dispensing Solutions Inc. or DSI in Santa Ana, CA) was shut down by McKesson (MCK) who acquired them in their takeover of PSS. (PSSI). McKesson closed them down simply because its retail pharmacy customers don’t like drug repackagers that enable doctors to dispense prescriptions rather than sending them to a retail pharmacy. That’s also the main business of PDRX. They are well managed and their books are very conservative. For an investor the biggest problem has been liquidity of the shares and that seems to be improving lately. Thanks for the additional insight. Less competition is good :). Guess we need to wait 1+ year before we can see if they are indeed able to increase their business because of this. 1) The listed address (corroborated by various sources, so I could be mistaken) looks like the location of a company called Advanced Building Products. That’s what one can glean from a look at Google Maps. However, Google maps also labels the building as that of PDRX, so there may be a bit of confusion on my part. Info is sparse, where’d you find the 2008 data? Yes: this is a company with limited disclosure, but it’s not something in China were you have to question everything. The dogs of my doubt were chained by the various corroborations. Part of this felt like a too good to be true so I went about trying to prove that end. To no avail, and happily so. Any info on why the 12% drop today? I couldn’t find anything. Thank you!! I’m not aware of any news. Given the low trading volume I wouldn’t read too much into it, stuff like this can happen with illiquid securities when someone wants to sell and the bid/ask spread is big. Hi, I wonder how did you find that company? Seems like a screener won’t do the job.